Our passion for excellence and compassion for people means we are dedicated to making sure our patients receive nothing less than the best. If you have experienced this excellence first-hand tell us about it using the form below. When you compliment a provider or staff member for their role in the positive experience you or a loved one had while receiving care from Aspirus, we will share your comments with the appropriate staff or providers. If you would like to contact us for more of a general inquiry, please use our contact us form. Visit our patient story area to view other positive experiences at Aspirus. Recognize a physician, nurse, staff member or volunteer who made a difference in your visit or stay by making a charitable gift of any size. 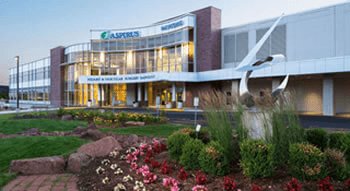 Recognize a nurse at Aspirus Wausau Hospital or Aspirus Medford Hospital for providing outstanding care. Recognize a support staff member at Aspirus Wausau Hospital for providing outstanding care.